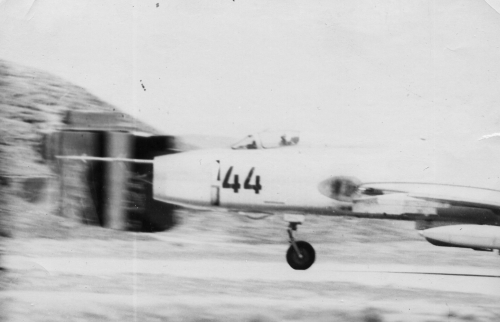 First, the 523rd Regiment got the variable-sweep wing fighter-bomber Su-17 type. 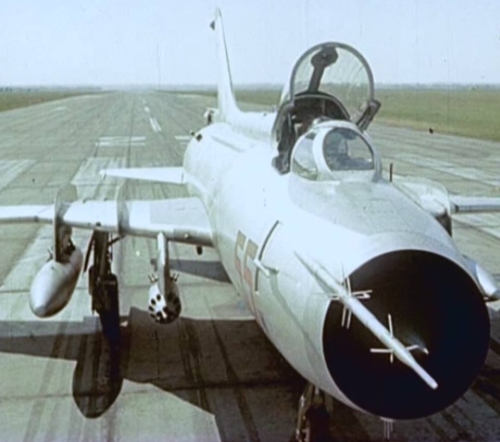 The first basic Su-17 Fitter-C aircraft landed at Vozdvizhenka Airport on October 8, 1970. They received a total of forty pieces. There was only a few technical problem with this new technique. 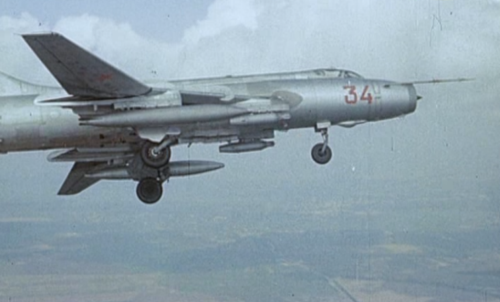 There were far fewer problems than with the Su-7s ten years earlier. They quickly retrained the 56 pilots of the regiment. 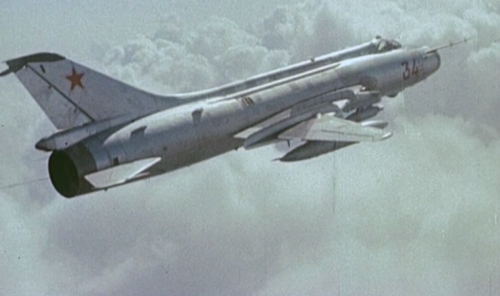 The early Su-17 bombers were replaced in 1978 with the new Su-17M3 Fitter-H type. 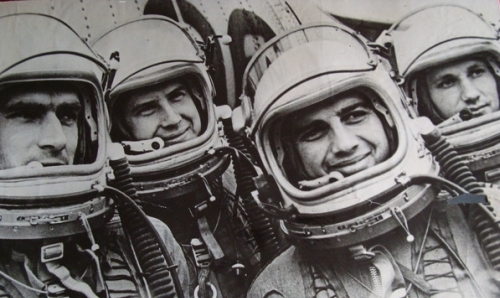 Soviet 523rd Fighter-Bomber Air Regiment's pilots Oboznikov, Terentyev, Khodos, Avramenko in 75-76. 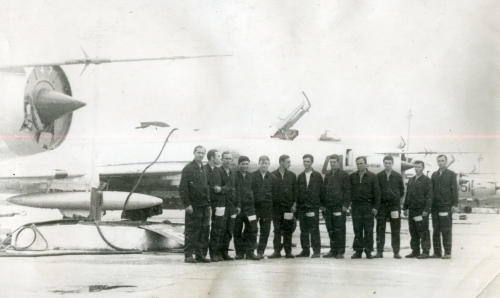 The 523rd Fighter-Bomber Air Regiment's pilots in front of their Su-17 basic Fitter-Cs in Soviet Far Eastern. 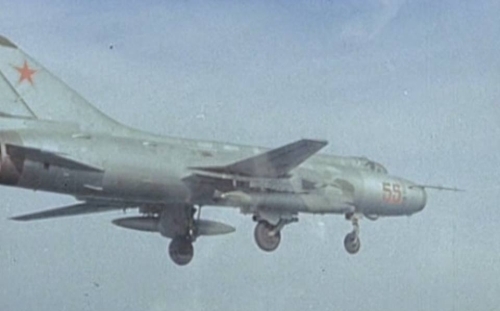 The pilots of the Komsomolski factory were trained at the 523rd regiment's fourth squadron. 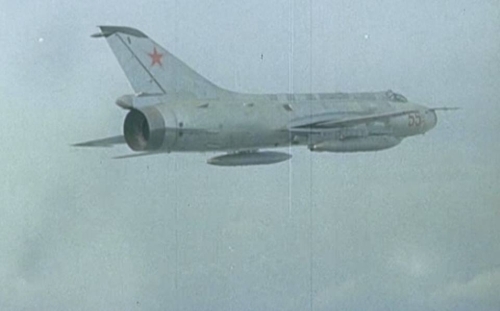 From the 1960s to 1976, these pilots flew the new Su-7, Su-17 and Su-20 aircraft from the factory to the combat units. Sometimes they flew all the way to Eastern Europe. 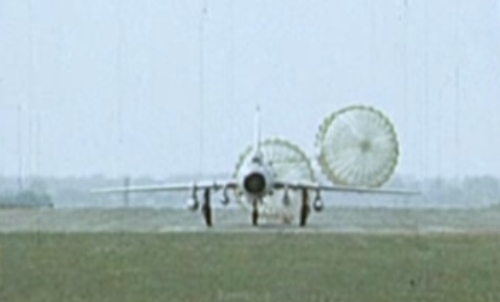 Weather often made their flights difficult. An average of one hundred airplanes per year was transported. 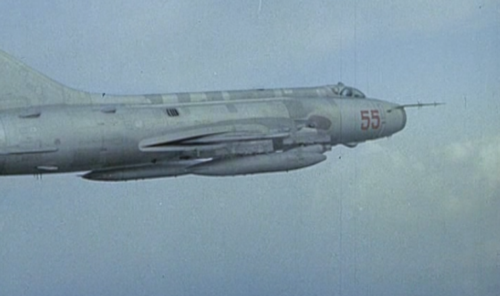 That is why in the fourth squadron had several versions of Su-7 and Su-17 aircraft. 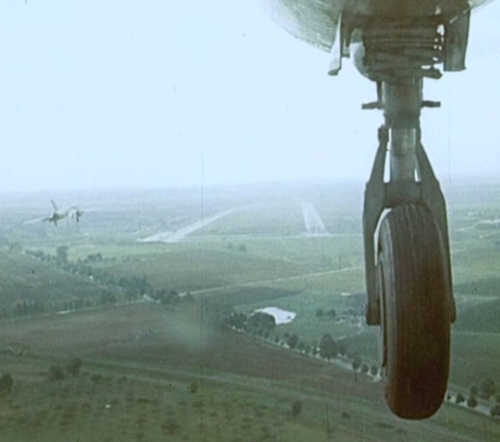 Deliveries continued until 1976, then they changed to deliver IL-76. 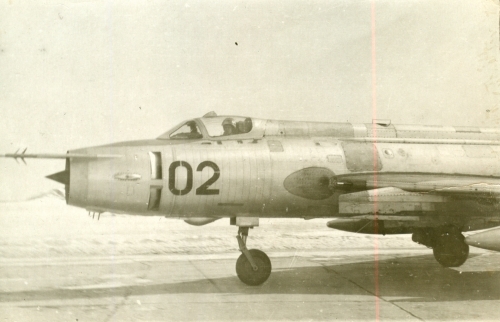 Soviet Su-17 basic Fitter-C in Vozdvizhenka airport in 1975.